Although the title character of the play, Henry VI does not appear until act 3. Henry is still in his minority in this play, meaning Gloucester is in command of the country as the Lord Protector. Henry acts as a young man, deferring to Gloucester before making any decisions. The only rash decision Henry makes is to marry Margaret at the end of the play. Henry is not as warlike as his famous father; he strives for peace instead of war, believing people can be talked into peace. He does work to try and keep the land his father claimed in France, but through agents, such as Talbot, Somerset and York. 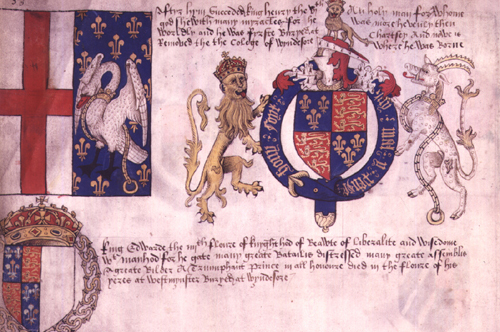 The historical Information on Henry VI can be found here.